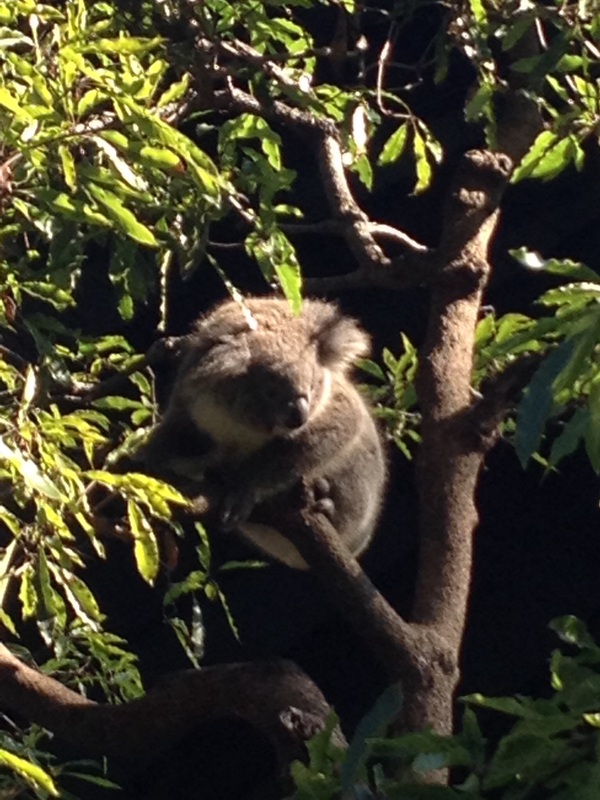 Sydney, part 3: the zoo! The zoo was on my list of must-do things, mainly because of the whole ‘see a cute koala’ issue – I’d promised my youngest I’d do this at the very least. So it was onto the ferry again – by now, I was feeling like I knew my way around a bit, and I enjoyed the ride out to Taronga. 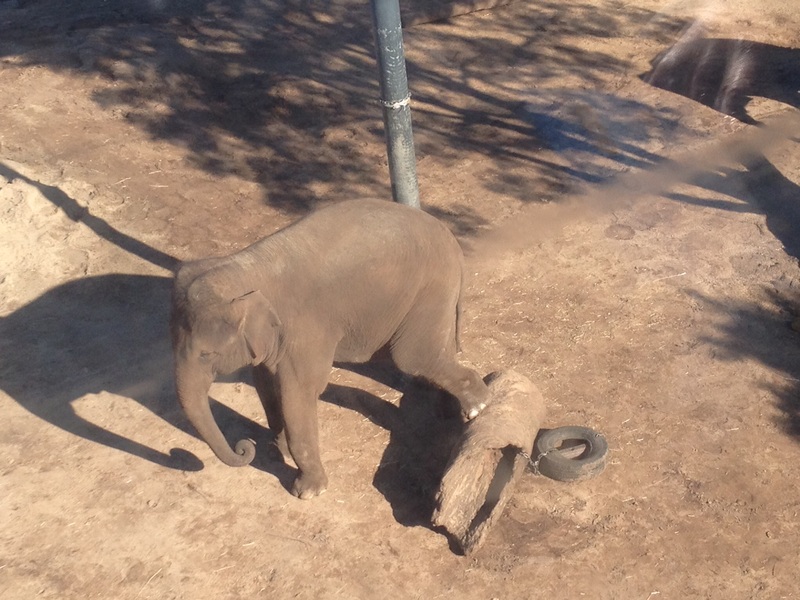 It turns out you can buy a ticket that gets you on the ferry and then into the zoo. I noticed it could also include a cable car, but I told the ticket lady I wouldn’t be needing that (like planes, cable cars are really not my thing). I did think she looked at me a little strangely, and when I got off the ferry I discovered why: if you have a pre-paid zoo ticket, you get to the entrance via the cable car. Well, this being a time of bravery and new adventures, I decided I should continue to conquer my fears. Around this point, I realised I was the only person standing in the cable car queue without an entourage of small children (apart from the Chinese tourists posing for hundreds of photos). Somehow, the cable car attendant seemed to think a middle-aged woman must necessarily be attached to offspring, so he assumed I was with the people in front of me (a dad and his three children), so they adopted me for the ride, and being their momentary mum took my mind off the fact that we were in the sky! It was amazing, actually, because you get to look down on the whole zoo. Happily, we didn’t appear to travel directly above the crocodiles – and how many times in your life do you get to take a photo of elephants from above?! 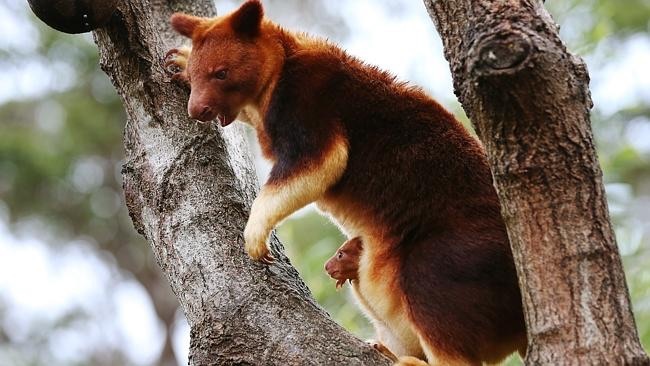 Taronga is an excellent place if you want to see Aussie animals and birds – I decided to stick mainly with creatures that normally live here, although obviously I had to have a little look at my other favourite animal. 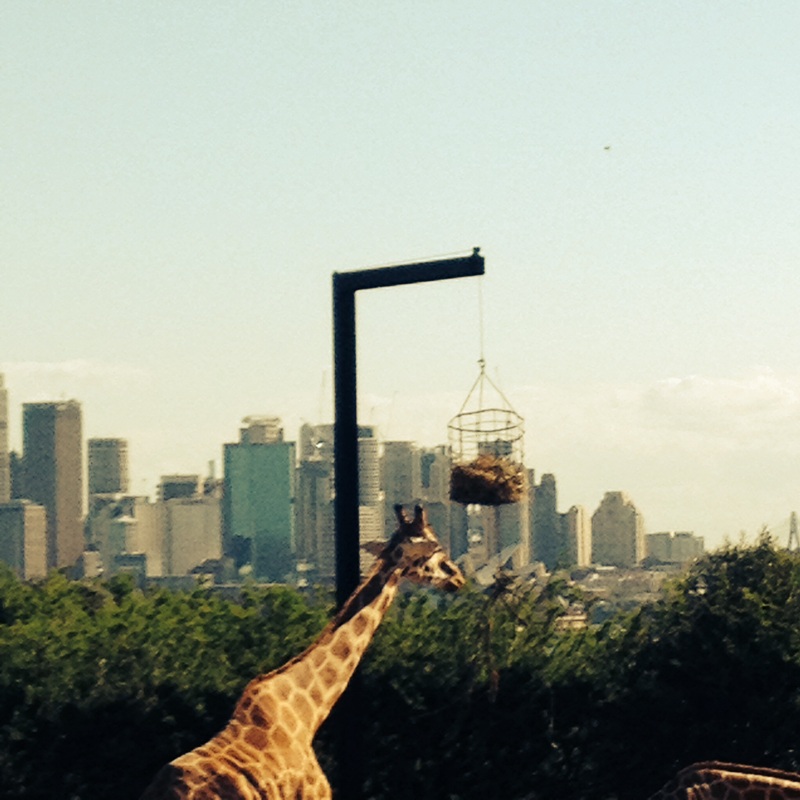 Check out the giraffes’ daily view – yes, it’s that skyline again! I found emus, wallabies, kangaroos, lemurs (like little cat-bears, I think! ), tiny penguins… I tried to see the platypus, but was a bit creeped out by the very dark room you had to go in – having just visited the reptiles, I was slightly anxious about what I might not be able to see in the dark! And apparently, platypus (platypi?) are very shy, so I didn’t stay in there for long.